Category: Voices. Tags: EVP, Hearing voices, Instrumental Transcommunication, ITC, ITC Jounal, Physical Phenomena, Survival. This CD contains a sample of the anomalous electronic voices recorded by Dr Anabela Cardoso, researcher in Instrumental Transcommunication. 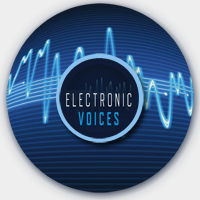 The majority of the voices on the CD illustrates, and relates directly to the book authored by the researcher on her amazing experiences “Electronic Voices: Contact with another Dimension?” published by O Books in the UK and USA in 2010.